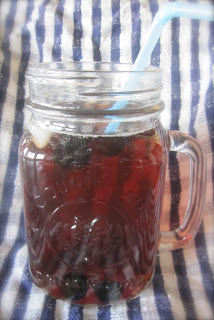 With all the heat the Tea Party has been getting lately, I figured I'd pay homage to TEA by posting an easy recipe for a fresh & fancy summer beverage. With five ingredients or less, you can't go wrong serving this at your next tea party! 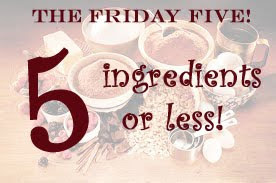 And if you can handle it, I would strongly recommend the addition of a sixth ingredient - perhaps some bacardi limon?! In a small saucepan, combine the blueberries, water, and sugar. Cook over medium heat until thick and bubbly. Strain, squeezing all the juice from the blueberries. Add the lemon juice to the strained mixture & allow it to cool. Combine the brewed tea and the syrup (do this a bit at a time, so as to control how much blueberry flavor you prefer in your tea) and chill in the fridge. Serve in a chilled glass over ice. I like to add a couple blueberries to the bottom:) Cheers!